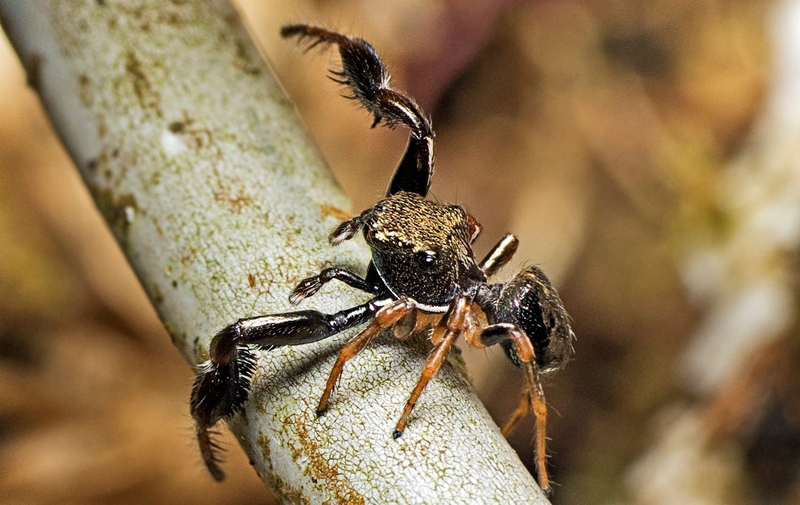 More of the amazing arthropods of Borneo. 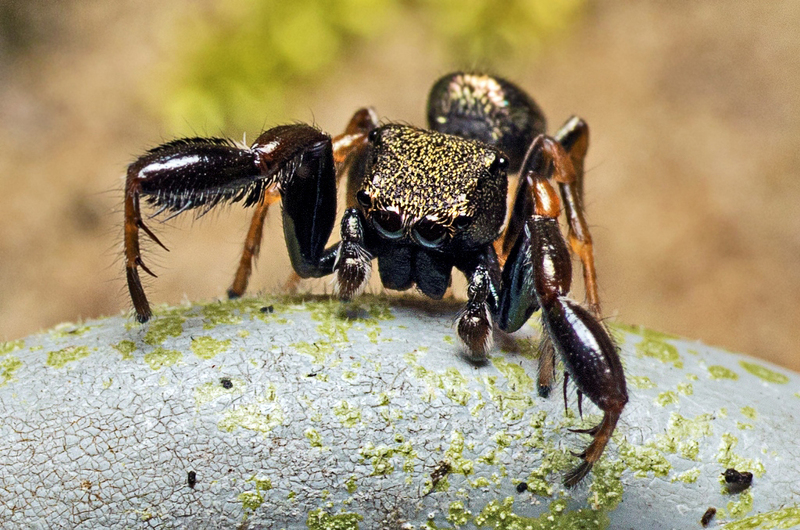 Here’s a few more Jumping Spiders [salticids]. Definitely my favourite group. 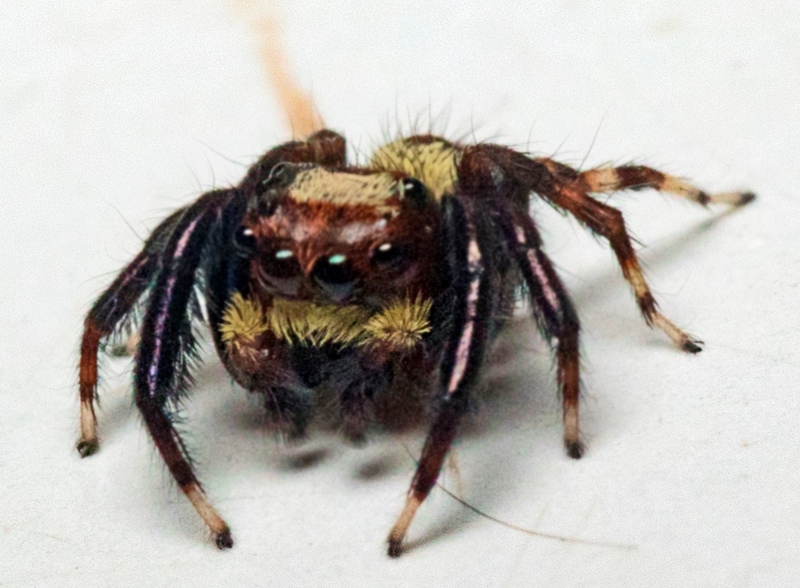 I couldn’t stop taking photos of the charming Harmochirus brachiatus. He struck so many photogenic poses. 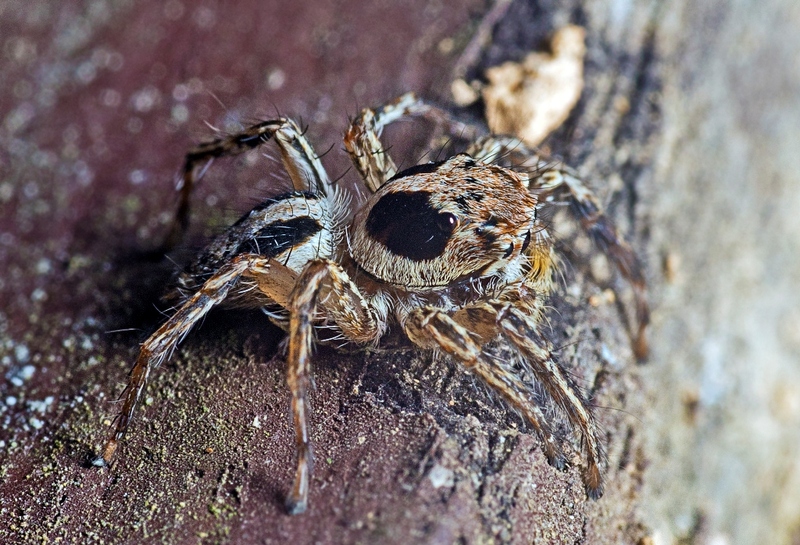 This entry was written by whyevolutionistrue and posted on January 23, 2019 at 7:30 am and filed under arthropods, photography, spiders. Bookmark the permalink. Follow any comments here with the RSS feed for this post. Both comments and trackbacks are currently closed. She would need an 800 step program! Great stuff! 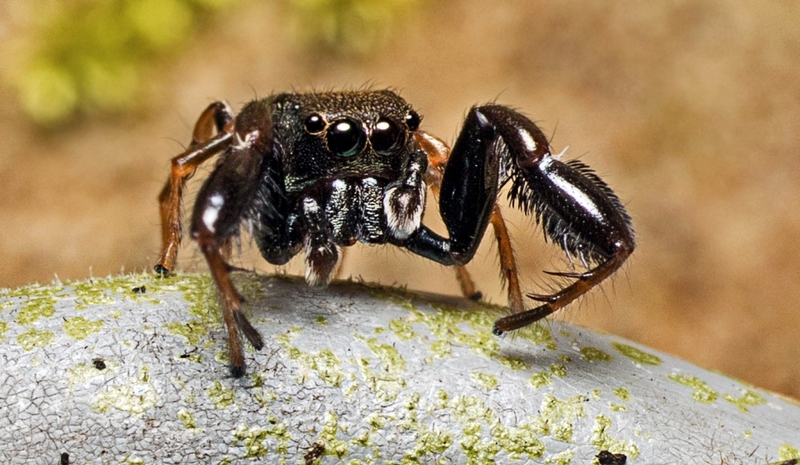 Everyone should love Salticids. I really enjoyed these. I especially like the second image. The line of many eyes makes it look like some bizarre robot-monster intent on destroying downtown. It’s curious why Ceiling Cat(may he live long and prosper) gave him so many eyes. Eight eyes for different jobs. 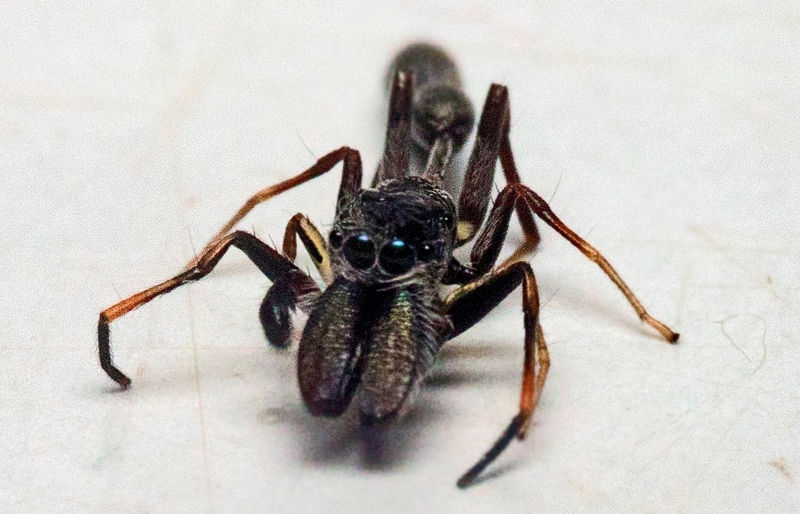 I read on another WEIT post a couple of years ago that these jumping spiders have general, unfocussed 360 degree vision via the eight lenses scattered about the carapace, but the large front pair on the spider ‘face’ are the most interesting. That pair are for accurate distance measuring prior to jumping, BUT the measuring isn’t due to the binocular triangulation that we employ with our peepers. They use the way light of different wavelengths [colours] is differentially altered as it passes through the eye – I have no clue how that works! It’s a miracle. What will Ceiling Cat think of next? Bunch of characters this little lot! Thanks Tony. These are great captures, Tony! Thanks a bunch!